Our research focuses on the mechanics aspects of the performance and processing of materials and manufactured goods. Many of our projects are collaborations with industrial partners, and graduate students lead most of them as part of their M.A.Sc. or Ph.D. research. The publication list below provides a good indication of the nature of our work. Measuring the transient contact forces exerted on a part by the abrasive media in a vibratory finisher. These data together with measurements of hardness and roughness changes as a function of time and finishing conditions are being used to understand the mechanics of this widely-used surface finishing process. Analytical and finite element models are being developed to predict the outcome of vibratory finishing as a function of process parameters. The discrete element method (DEM) is being used to model the vibrationally fluidized flow of the media in a vibratory finisher. Abrasive jet micro-machining is being studied experimentally and analytically in order to develop models to predict the eroded surface profile, the rate of material removal, and the roughness of the machined surfaces. Channels, holes and multi-level planar areas are machined in glass, silicon and polymers with and without masking. Applications are found in microfluidics, MEMs and opto-electronic devices. Understanding the basic mechanisms by which high-speed particles remove coatings in the process of blast cleaning. This research included the development of models to predict the process parameters that most efficiently remove a given coating. 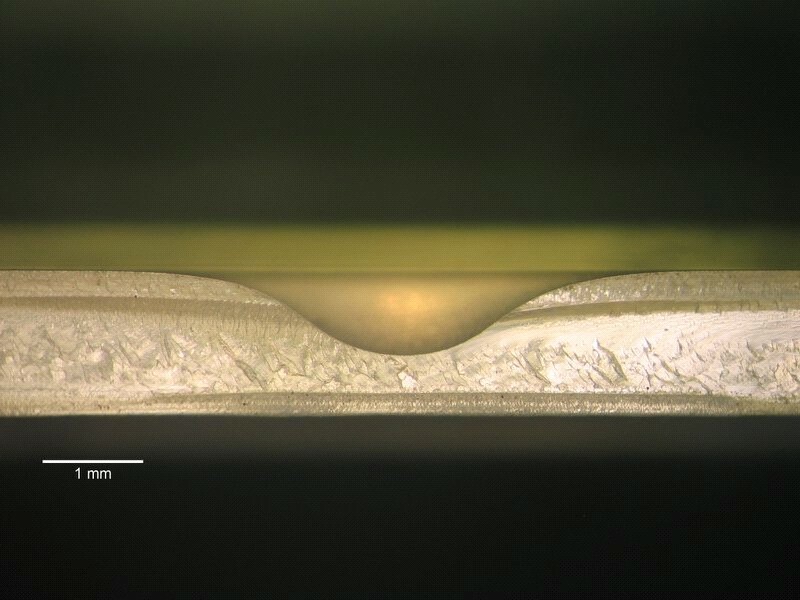 Experiments examined particles of glass, plastic and wheat starch impacting against coatings that are eroded in one of three ways: delamination, ploughing erosion, micro-machining erosion. 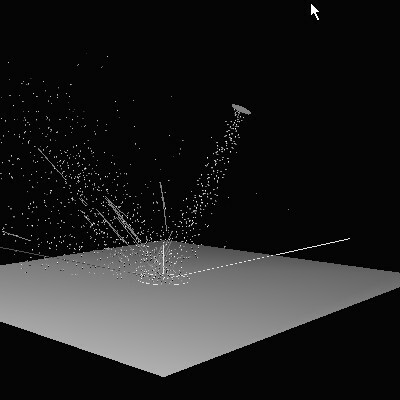 Computer modeling of the rebound of particle streams from solid surfaces including collisions with incoming particles. 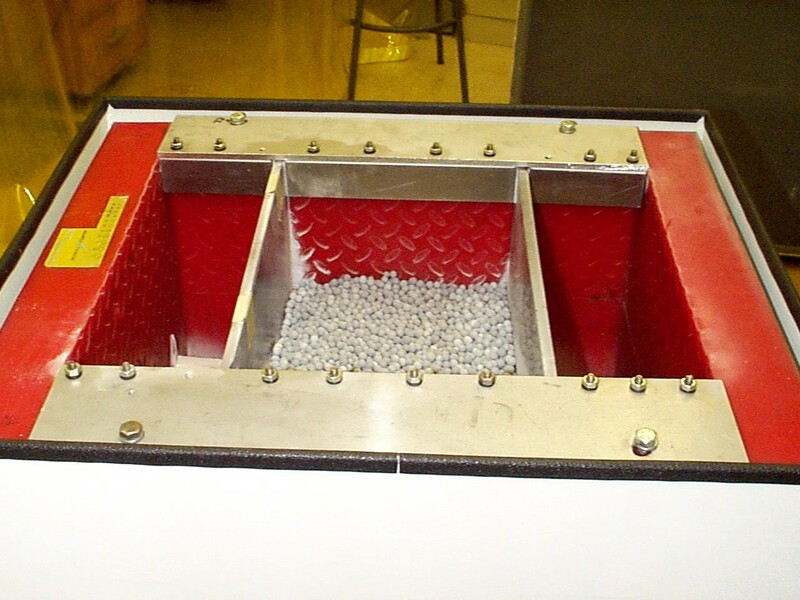 Applications are in shot peening, blast cleaning and machining using erosive particle streams. Finite element modelling of the warpage that can occur in printed circuit boards during wave soldering. Accelerated thermal fatigue testing and finite element modeling of solder joint life in microelectronic components. 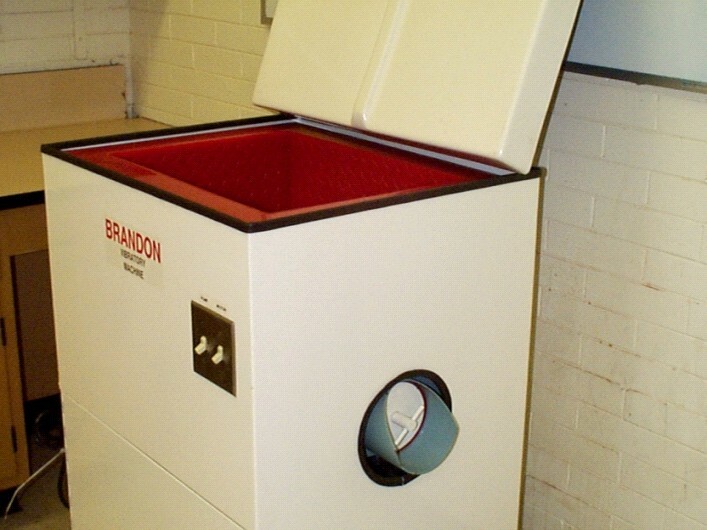 Our objective is to understand the role of test variables such as temperature ramp rate and dwell time so that manufacturers can reduce product testing times. We are also obtaining new data for lead-free solders and assessing the accuracy of thermal fatigue models. Distortion in adhesive connections between optical fibers can cause significant signal loss. Our research is determining the causes of such distortion and developing a finite element model of the development of distortion during adhesive curing. Plated-through-vias (PTVs) provide electrical connections between planes of printed circuit boards. Their thermal fatigue performance remains a subject of concern, particularly when exposed to the higher manufacturing temperatures associated with lead-free solders. Our research is investigating the thermal fatigue of various PTVs using air cycling and IST tests (using resistive heating). Analytical and finite element models are being used to predict the influence of material properties and geometric parameters on the thermal fatigue life. Creep and thermal fatigue crack initiation are important causes of solder failure. We are investigating these phenomena in tin-lead and lead-free solders as a function of stress state (tensile, shear), degree of constraint (plane stress, plane strain), stress level and temperature. 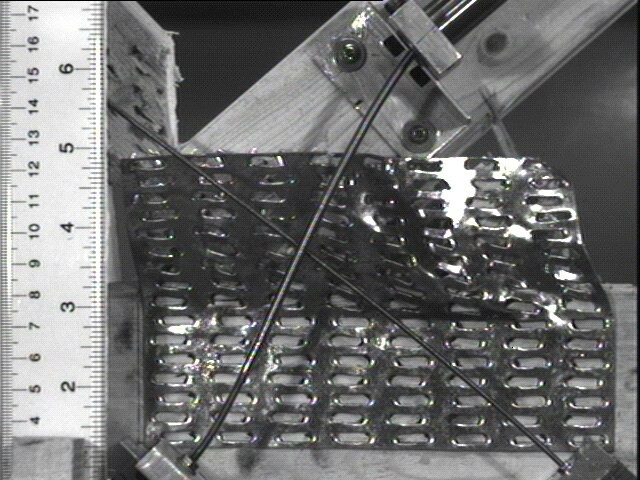 Experiments and modeling are being used to develop methods for predicting the strength of solder joints. Developing methods for the analysis and design of structural adhesive joints. Such methods allow engineers to predict the fracture strength of adhesive joints under conditions of fatigue, sustained loading, and environmental attack. Our research has dealt with joints in which adherends remain elastic and those that undergo extensive plastic deformation, as might be expected in an automobile frame during a collision. Current research is focusing on the design of high-strength automotive joints in steel and aluminum subject to fatigue and property degradation as a result of water exposure. Optical profilometry has been used to measure small-scale distortion occurring in various papers as a result of localized rewetting by an ink-jet printer. Atomic force microscopy measure has been used to measure changes in the mechanical properties of paper fibers as a function of moisture content. We have examined the technical issues concerning the use of new wood-fibre reinforced plastics; e.g. surface pretreatment for painting, the mechanics governing the performance of screws, and the effect of different molding conditions. Metal nail plates are used widely to join web and chord members in wooden roof and floor trusses. A fundamentally new approach to the manufacture of these connections is being evaluated for strength and stiffness. This information will then be used to modify existing design methods. Most of the projects in the Lab constitute the thesis research of M.A.Sc. and Ph.D. students who are paid a Research Assistantship from the project funding. Post-doctoral fellows and visiting professors have also made many important contributions to our work. The following link provides a list of the past and present (indicated by *) graduate students who have worked in the Materials and Process Mechanics Laboratory. Projects related to abrasive jet micro-machining also involve the affiliated laboratory of Prof. M. Papini (Ryerson University, Toronto). Research related to paper made use of the facilities of the Pulp and Paper Centre (University of Toronto).